Most human tissues do not regenerate spontaneously. Cell therapy and tissue engineering, which involve collecting cells from either the patient or a donor and introducing them into injured tissues or organs, sometimes after modifying their properties, offer promising solutions for regenerative medicine. Indeed, so promising are these therapies that current research has shifted from organ growth to cell therapy. The range of therapeutic applications is wide, including cardiac insufficiency, atherosclerosis, cartilage defects, bone repair, burns, diabetes and liver or bladder regeneration. 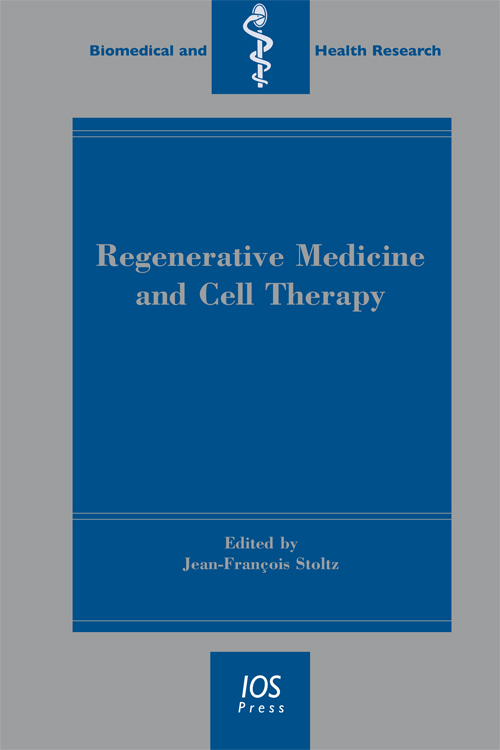 This book, whilst not covering all aspects of regenerative medicine or cell therapy, offers a current overview of this emerging multidisciplinary field, which has been described as "the way to improve the health and quality of life by restoring, maintaining, or enhancing tissue and organ functions". It explores some of the problems and challenges encountered, such as the need to overcome risks of teratogenic effects and/or immune reactions, and deals with the legal issues involved in national regulations. The first 11 chapters of the book are devoted to basic knowledge of stem cells and the remaining 20 chapters deal with potential clinical applications: hematology, cardiac, vascular, osteoarticular, liver, skin, etc. - although of course it is impossible to envisage all of the applications which will undoubtedly be developed in the next decade or so. The book will be of interest to all researchers and clinicians involved in regenerative medicine or cell therapy.